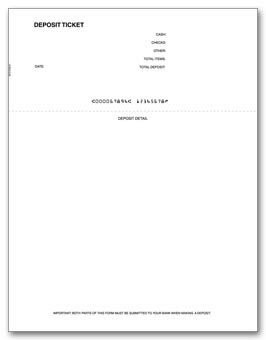 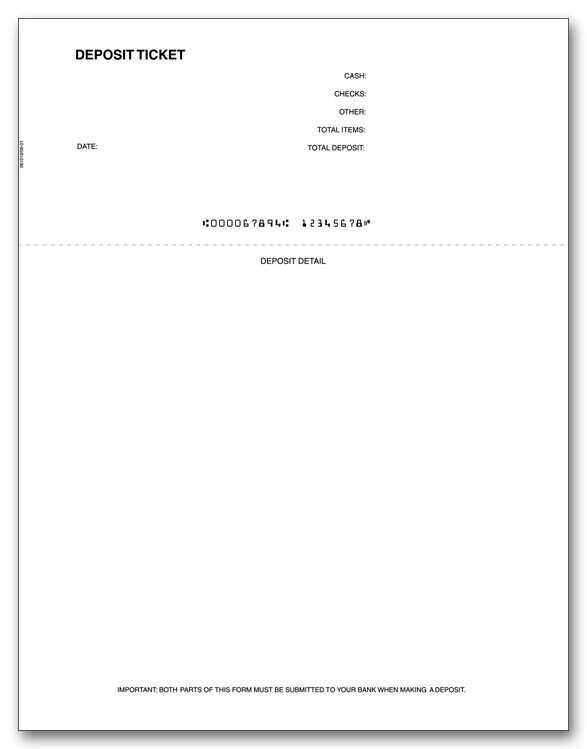 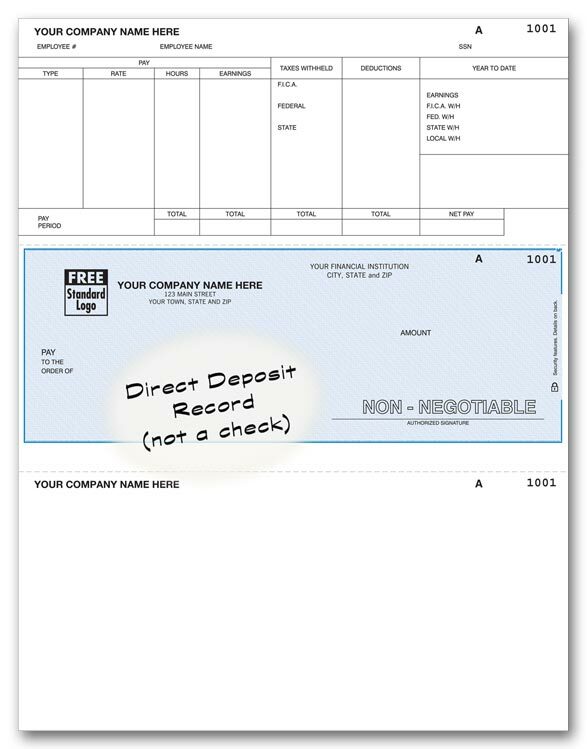 Our industry-best laser deposit tickets for QuickBooks meet or exceed your bank's standards for MICR codeline quality!Compatible laser deposit tickets for Quicken (R), Quicken (R) Deluxe, Quicken (R) Home & Business, QuickBooks (R), QuickBooks Pro (R) & Microsoft (R) Money, plus other software packages. 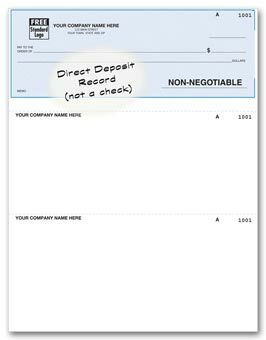 These laser deposit tickets meet or exceed your bank's MICR codeline standards for fast, accurate processing. They are guaranteed to be compatible with Peachtree Software. 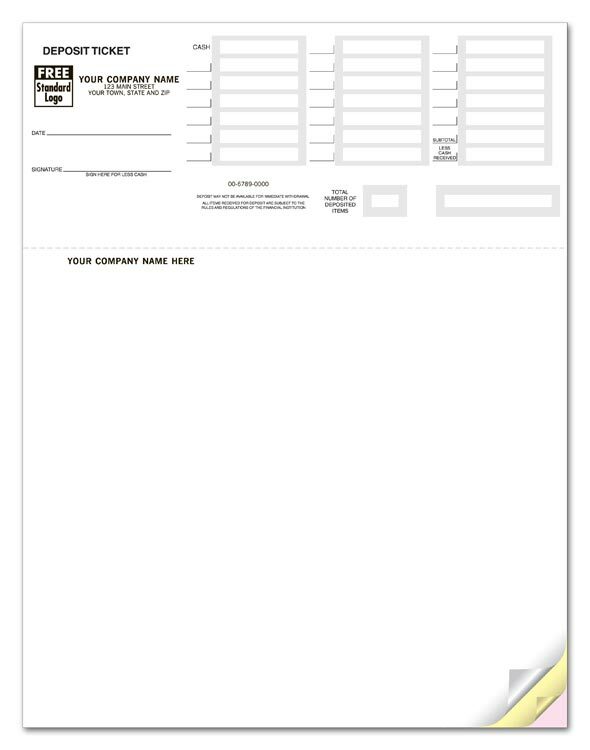 Saves you time and keeps a record on your computer. 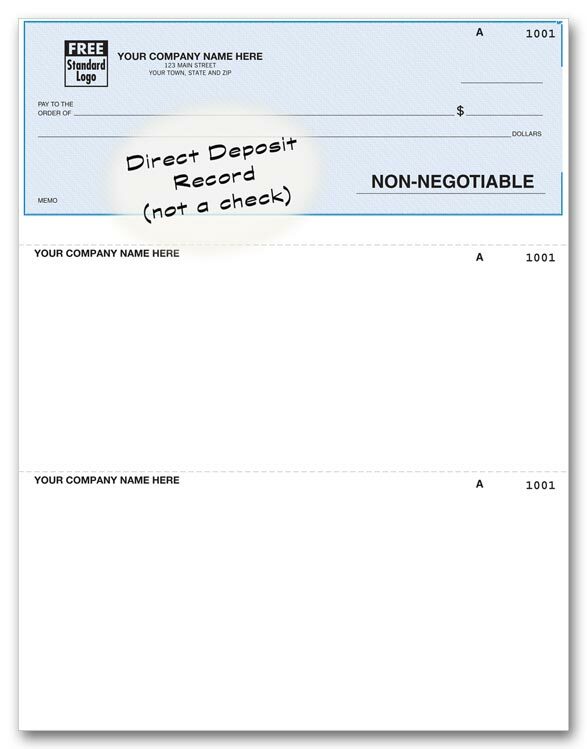 Employees appreciate tidy Direct Deposit Forms!Our laser advice of deposit checks are preprinted so you can easily list details, including earnings, taxes and deductions paid. 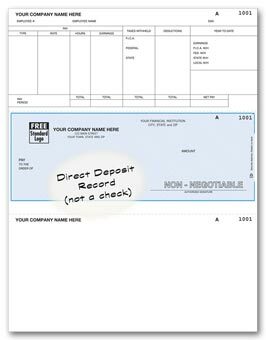 Make your direct deposits even faster and simpler than ever with our advice of deposit direct deposit forms.Advice of Deposit Form shows exactly what was deposited -- and all deductions too.